Earlier this year it was announced that there will be a Pride House in Glasgow for the duration of the European Championships, and we can now reveal that the venue has been confirmed as 17 Trongate, in Glasgow’s Merchant City. Led by LEAP Sports Scotland, the venue will welcome lesbian, gay, bisexual and transgender and intersex (LGBTI) athletes, fans, visitors and allies during the Championships. Pride House will provide a welcoming place to view the competitions, and enjoy the events and cultural programmes planned around the event. It is an opportunity to help tackle LGBTI-phobia in sport as well as learn about LGBTI sports and build closer relationships with mainstream sport. Pride House will also be the place to find out more information and advice about the wider events programme in 2018 for LGBTI visitors to Scotland including activities around the Year of Young People and the European Year of Cultural Heritage. 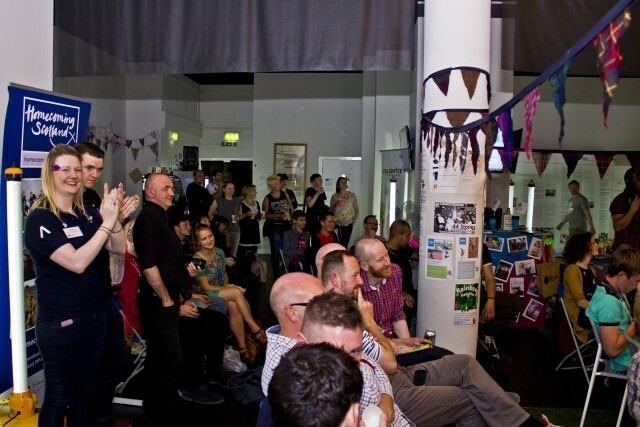 Glasgow City Council is providing the venue space, The Scottish Government is providing £20,000 in funding to support the work of Pride House, and a further £10,000 in funding for the cultural programme is being provided through the Glasgow 2018 Festival Fund. “I am delighted that Pride House is returning for the Glasgow 2018 European Championships, four years on from it being established for the Commonwealth Games and also playing its part in The Homeless World Cup in 2016. “This is a really positive story for the city as I am passionate that each and every one of our citizens and visitors feels included and has a voice. LEAP Sports Scotland works with Pride House International, the guiding body intended to support and oversee the delivery of Pride Houses by organisations in their local contexts during large-scale international sporting events such as the Olympics, the Commonwealth Games, and the Panam/Parapanam Games. Written on 18th June 2018.